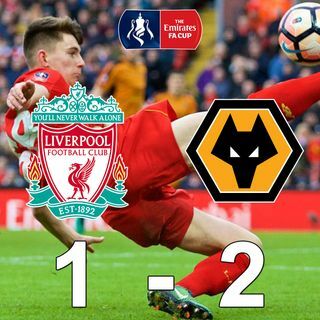 Liverpool were knocked out of their second cup competition in three days as they lost by 2 goals to 1 against Wolverhampton Wanderers in the fourth round of the FA Cup at Anfield. Wolves, who currently lie in 18th position in the EFL Championship controlled the game from start to finish. On this show John & Sean do separate match reviews and look back at the match in detail.